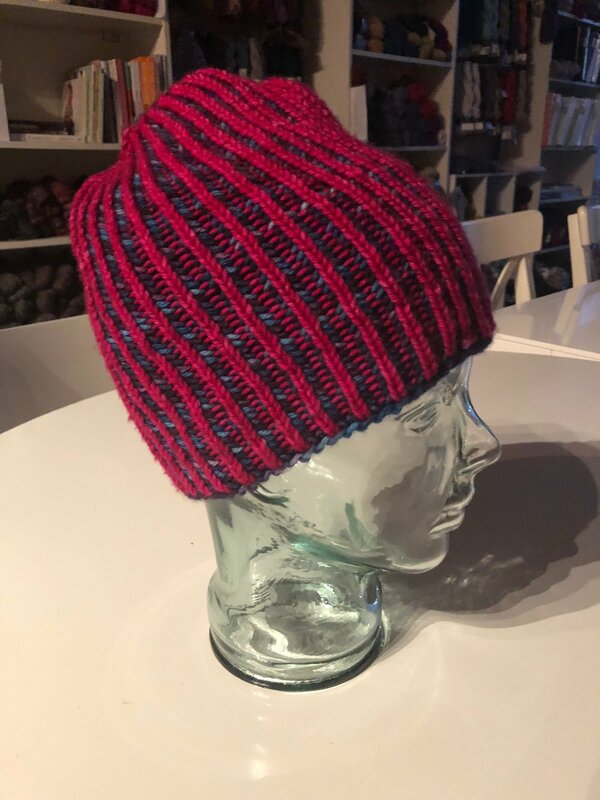 Kristen will teach you how to make this beginner brioche hat with a pattern of her own design: the Brioche Galaxy. Click through here to find the free pattern at her Ravelry store. Bonus: Two-color brioche also results in a reversible hat! Join the fun. Learn new skills. Level of experience: Intermediate. Students must be proficient with knitting basics: cast on, bind off, knit stitch, and knitting in the round either in Continental or English style knitting.